Featuring Samsung’s Quantum Dot technology, the Samsung Ultra HD Curved TV delivers all the colors on-screen in vibrant detail. The HDR 1000 feature ensures that even the smallest of details is displayed in ample light. With Auto Depth Enhancer, you can apply different contrast levels are applied to different areas on the screen, for a more immersive experience. And, thanks to the Supreme UHD Dimming technology, you can experience optimised contrast, colour and sharpness for better picture quality. 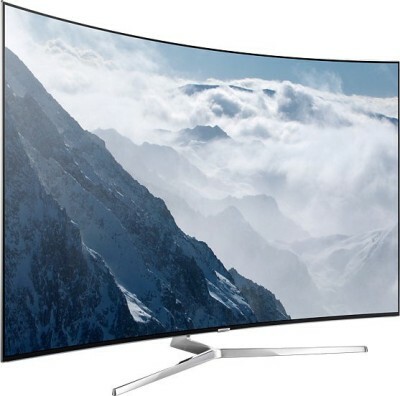 This Curved TV has a bezel-less, 360-degree design that further adds to its elegance.